Is it time to get a bigger HDTV? Or are you looking to upgrade? 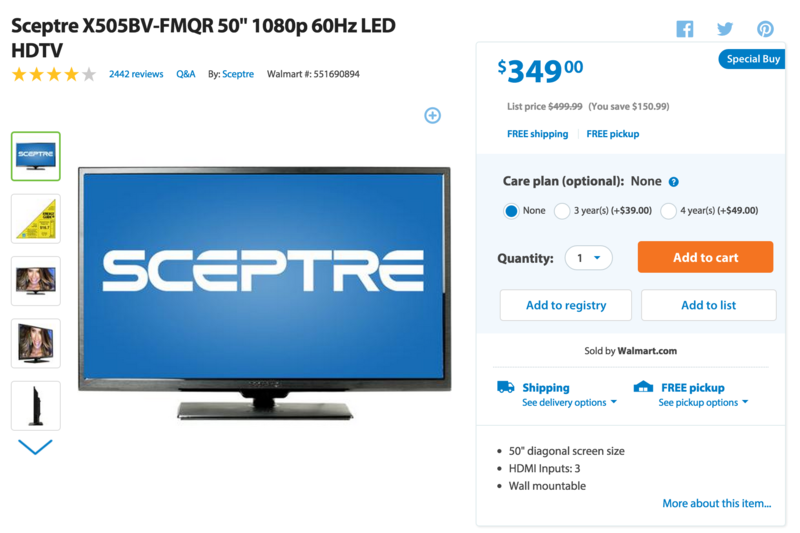 For a limited time, Walmart is offering Sceptre 50″ HDTV for $349.00. As a previous owner of Sceptre, I would definitely recommend this brand. I had a smaller 32″ two years ago for $150, and I used the extra savings for the extended warranty (which I never had to use). Reviews are good for this device with 4/5 stars, with most reviews giving the HDTV 5 stars and a small minority giving the item a 1 star review – everything from receiving a broken unit or completely not functioning. This model comes with 3 HDMI inputs (I wouldn’t accept less than 2), though this has a 60Hz refresh rate, I find that to be acceptable for TVs 50 inches and less. 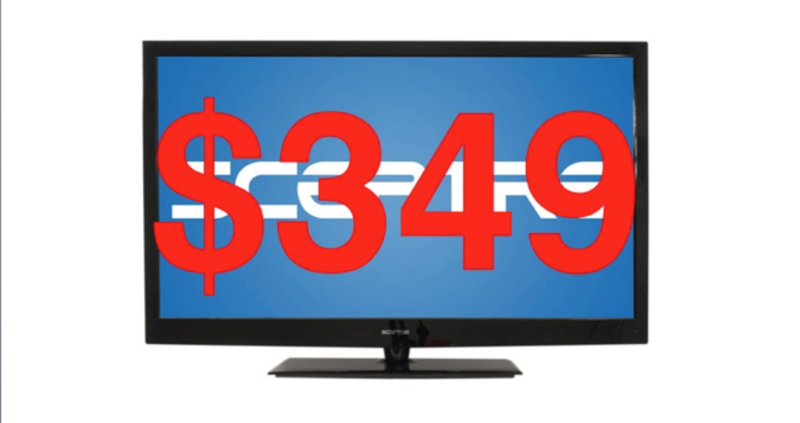 Did you score a deal on your HDTV? What would you buy with that extra savings? Have you entered our February giveaway?! Samsung 55-inch 4K Ultra HD TV for $699!